1. Purchase SCMF Ticket on Ticketfly. 2. 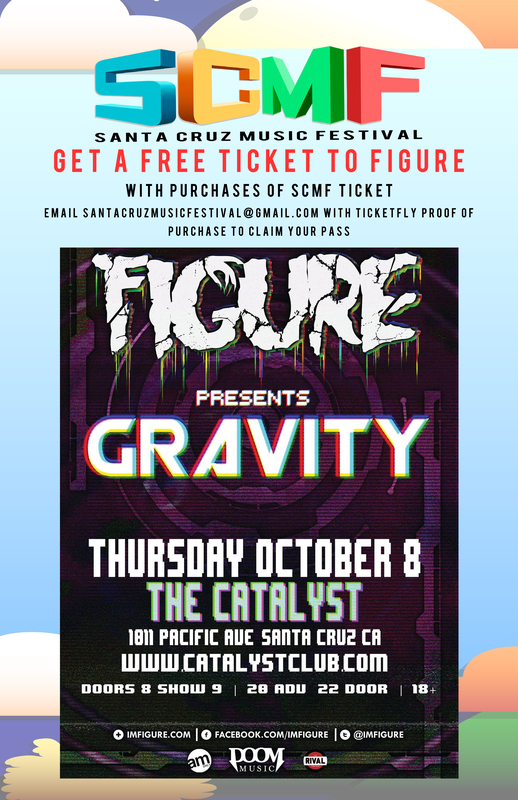 Email Ticketfly Proof of Purchase to santacruzmusicfestival@gmail.com with the Subject: FIGURE. 3. You will receive email confirmation that your name is on the guest list. 4. Show up to The Catalyst on Thursday, Oct. 8th and get your ticket at The Box Office. 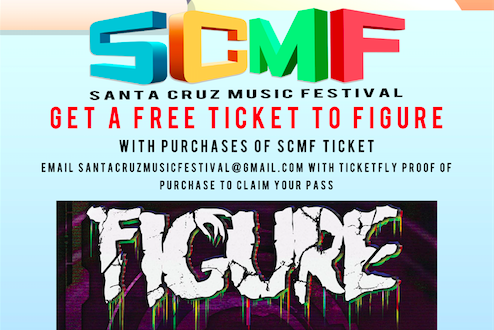 Get a Free ticket to Figure with the purchase of a Santa Cruz Music Festival Wristband! Two amazing experiences for the price of 1. Figure is an incredible artist with an extremely unique style. He is one of those producers that has the ability to take any song in the world, rework it with his own personal touches, and then blow the audiences minds. A fantastic remixer and creator of many interesting originals, the DJ is a hell of an artist. Not entering your name into this contest is the equivalent of saying, “I don’t need more fantastic music in my life”. Let’s be realistic here…. none of us would ever say that. Get on the website and enter for your chance to win!